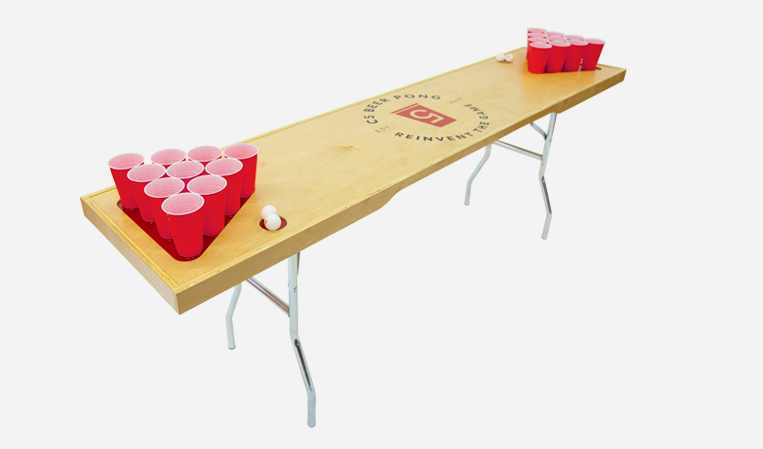 The collapsible c5 beer pong table. All the quality, precision, and gusto of his father… with NONE of the financial responsibility! Hand built in Chicago with solid Birch wood and inlaid acrylic beer pong cup and water cup inserts for a perfect rack every time. It’s not plastic, it’s not flimsy, it’s not made in China. It’s a C5 Beer Pong Table!